In the last blog, I wrote about the connection between the Michael Kumsher family in Iowa and the Charles Kundshier's in St. Paul, Minnesota. (see that blog here) Last year, Iris Kunshier Baran told us that Great Grandfather Joseph had two sisters who also came to America. We now think that it was Joseph's sister, Anna Kumschier, who blazed the trail for the family. This blog is about Anna, her husband Andreas (Andrew) Irber, and their family. It is interesting that in the old country Anna, Andreas, and other members of their family were rural folk. But, in America the family quickly settled into an urban life and urban occupations. Andreas became a storekeeper while the children were employed in department stores, shoe factories, railway and newspaper offices etc. They embraced a new life- style in a new land, and made successful lives for themselves. Anna grew up in Neubäuhütten and probably met Andreas Irber in Wassersuppen. Andreas was born October 28, 1841 in Haselbach (now Lísková) south of Wassersuppen. His father was Thomas Irber and mother Margaretha nee Stoffel who lived in house #4 in Haselbach. Very little remains of Haselbach today. It was one of the unfortunate border villages destroyed by the Soviets in the 1950's. While there were 76 house numbers early in the 20th century, today only 3 or 4 buildings exist. Anna was 19 years old when she and Andreas were married in 1862, probably in the Catholic Church in Wassersuppen. Their first child Johann was born on November 23, 1863, but he died on February 20th, 1864. They were living with Anna's brother, Joseph Kumschier, his wife Marie Tiller and many of Anna's siblings in House #8, their parents' home. (Catholic Church Records, Czech National Archives). Anna and Andreas had four more children, three while living in House #8. For some reason, by the time of the birth of their fifth child, Josef (Joseph Andrew) on February 6, 1873, they have moved and are living with Anna's brother, Johann Kumschier and his wife Elisabeth Riess in House #13. It was about this time that they decided to emigrate to America. 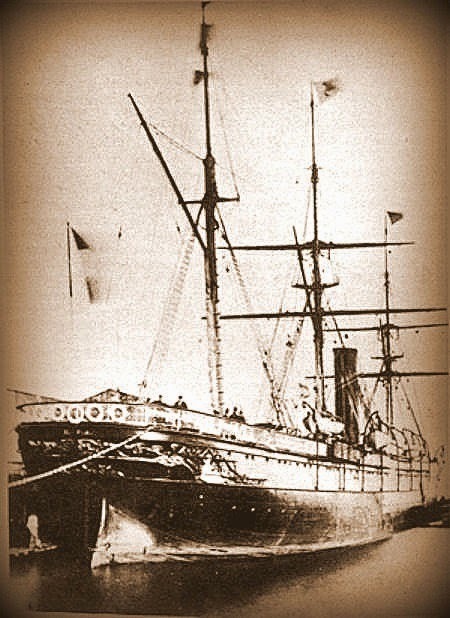 They boarded the S.S. Hansa in Bremen, and on May 14, 1874, Anna and Andreas arrived in the port of New York. The passenger list (which has been digitized) shows Andreas and Anna and their four surviving children; John, Margaret, Marie, and Josef, as steerage passengers #99 -104. Anna's sister Theresia and the young man she was to marry, Andreas Wiedl, were #97 and 98. We do not have any documentation of Anna and Andreas for the first 10 years they were living in America. In the 1885 Minnesota State Census, we find the family living in St. Paul's Ward 5. Four more children had been born in America and now eight children are listed as living with them. In 1886, Andreas applied for a building permit for a 2 story frame dwelling on the corner of Case Street and Greenbrier Ave. This was noted in the St. Paul Daily Globe for Oct. 20, 1886. In 1893 St. Paul Polk Directory listing for grocers, Andrew is listed as a grocer at 697 Case Street. In later City Directories he is also listed as a grocer or a merchant residing at the same address as the store. We assume that the grocery store was on street level with the family occupying the 2nd floor. It is in this structure where Anna and Andreas lived for most of their remaining years. The green arrow in the map points to the intersection of Case Street and Greenbrier Avenue. It was one of the poorest areas in St. Paul. The people living there were squatters, living in a collection of shanties with few amenities and no city services. 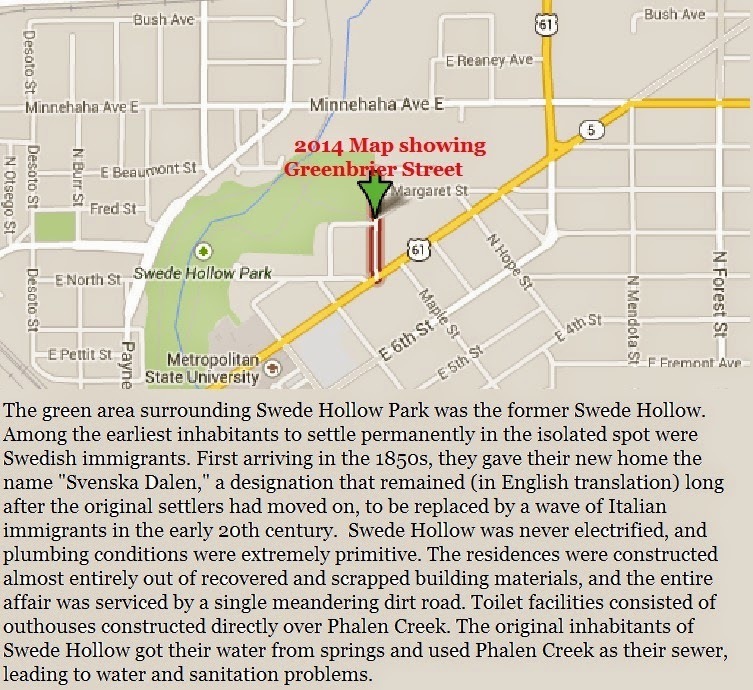 At that time, the residents were mainly Swedish, hence the name "Swede Hollow". We can only speculate why Anna and Andreas chose this area and did not settle among other Catholics or German speakers in the Rice Street or Frogtown areas. The closest Catholic Church serving German speakers was Assumption which was located in downtown St. Paul, over two miles away. At the time of the 1900 Federal Census, the next available, Anna and Andreas had settled into 697 Case Street. Two of their sons resided with them. They have been married for 36 years. In this census and one other, their name is spelled Erber. 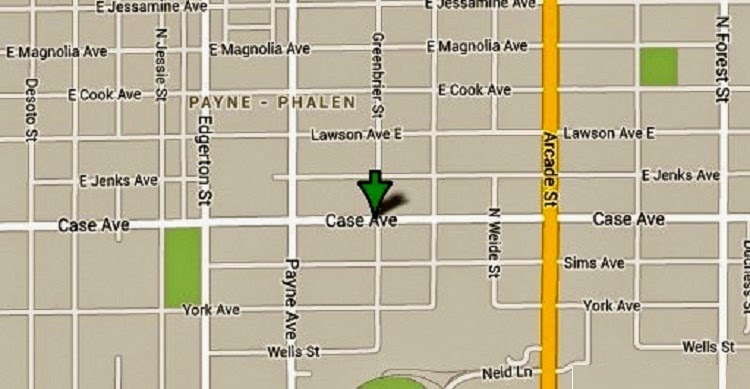 In the 1910 Federal Census, they continued to live at 697 Case Street. Their daughter, Marie/Mary and son-in-law, Herman Treseler, and their four granddaughters are living with them. Andreas is listed as a grocer and Herman as a cigar maker. Once again, at the time of the 1920 Federal Census, they are at the same location. Now they shared their house with a Swedish couple, Edward and Tessie Anderson, and that couple's daughter. Andrew is listed as running a candy store. Anna is 76 and Andreas is 78 years old. Anna died of a heart attack on April 9 of 1922. 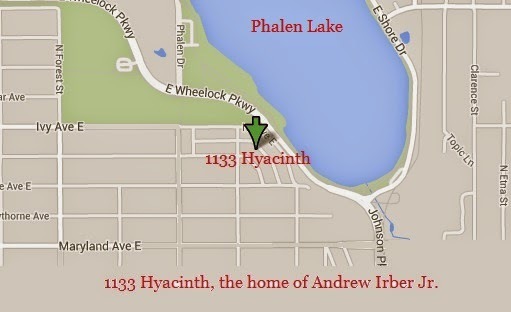 She was either visiting or residing at her son, Andrew's home at 1133 Hyacinth Street. She was 78 years old. 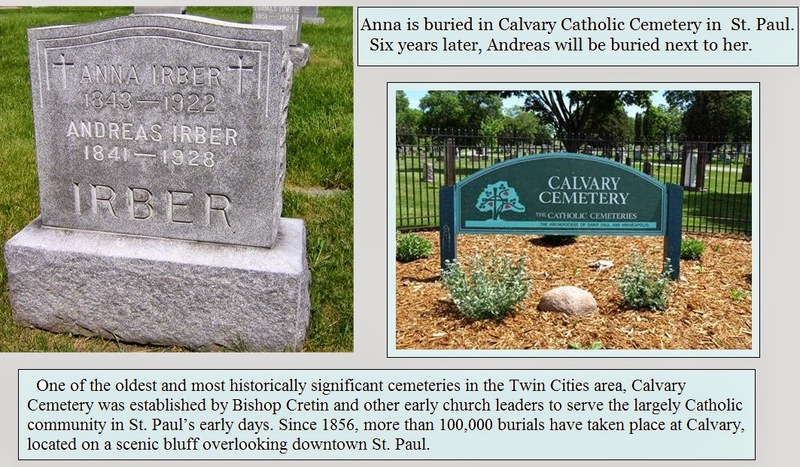 Anna was buried in Calvary Catholic Cemetery, St. Paul. Six years later in 1928, Andreas was buried next to her. John Henry Irber was born on October 19, 1865, in Neubäuhütten, Wassersuppen, Bohemia. He died on July 20, 1942, in Los Angeles, California, at the age of 76. Margaret Irber was born on December 11, 1867 in Neubäuhütten, Wassersuppen, Bohemia. She died on November 15, 1952, in San Diego, California, at the age of 84. Marie Irber Treseler was born in September 1870 in Neubäuhütten, Wassersuppen, Bohemia. She died on March 20, 1946, in Hennepin County, Minnesota, at the age of 75. 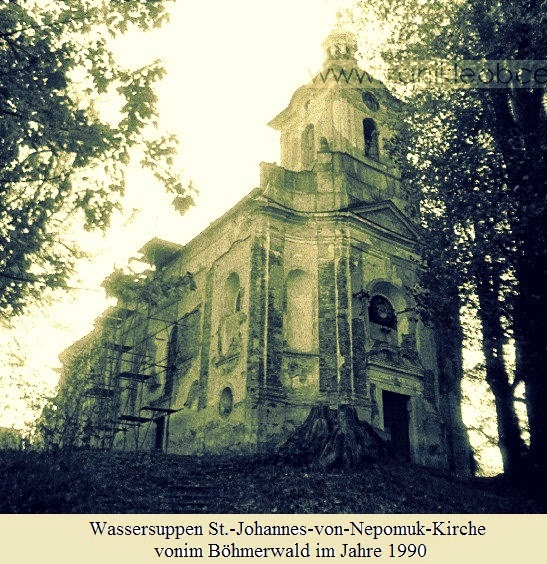 Joseph Andrew Irber was born on February 2, 1873, in Neubäuhütten, Wassersuppen, Bohemia. He died on December 5, 1937, in St Paul, Minnesota, at the age of 64. Rose Irber Munch was born on December 9, 1875, in St. Paul. She died on July 27, 1951, in Mendota Heights, Minnesota, at the age of 75. 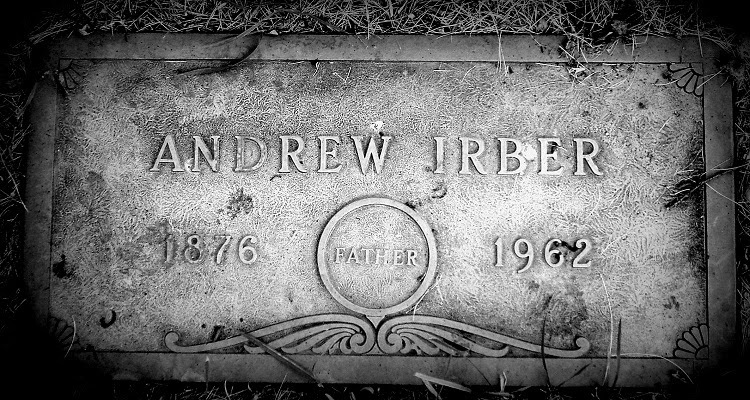 Andrew Irber Jr. was born on December 3, 1876, in St Paul. He died on September 17, 1962, in his hometown, at the age of 85. Henry Conrad Irber was born on November 16, 1878, in St Paul, Minnesota. He died on September 21, 1947, in San Francisco, California, at the age of 68. Ernest Joseph Irber was born on January 23, 1885, in St Paul, Minnesota. He died on April 26, 1959, in San Diego, California, at the age of 74. In the next blog we will give more information on Anna and Andreas Irber's children.